View from the street through wrought iron and stone gates.The top of the central tower with a venting cupola. Stonewood (now renamed Cedarstone). 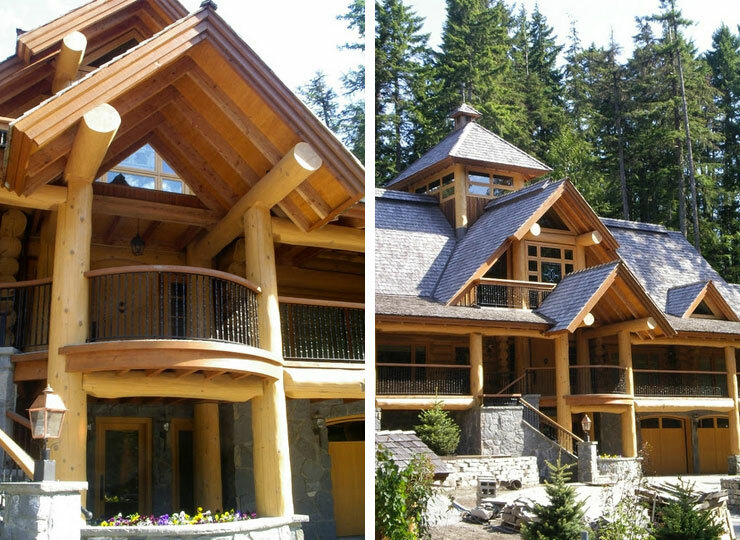 This 5000 sf + full log home is in the Creekside area, Whistler BC. 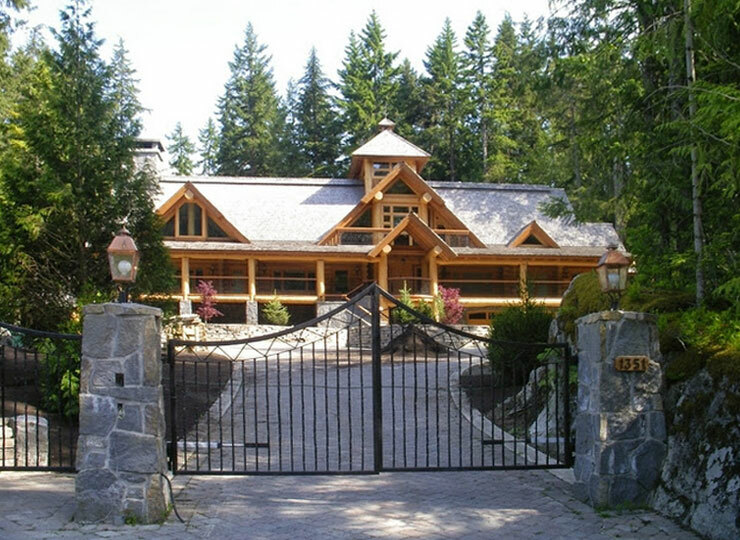 It sits on a 6 acre site which boasts a one hole golf link in the front lawn and several recirculating fountains that add to the natural setting. 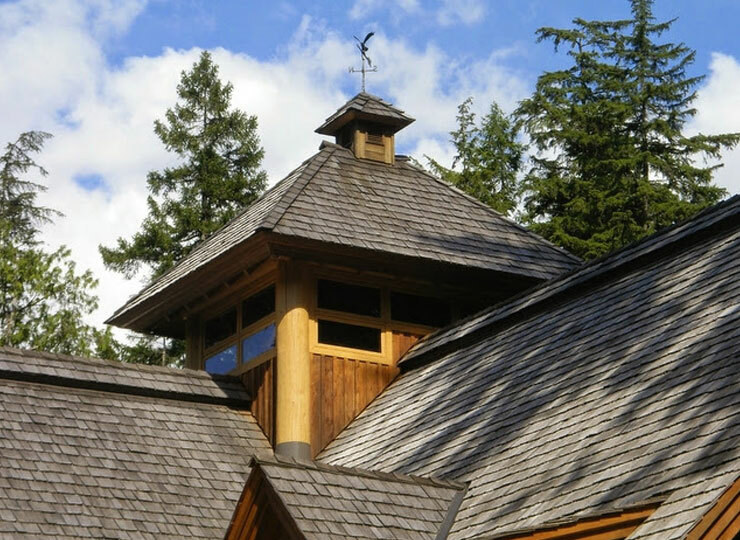 A 3.5 storey tower with clerestory windows at the top provides a central three dimensional focus to this large home. 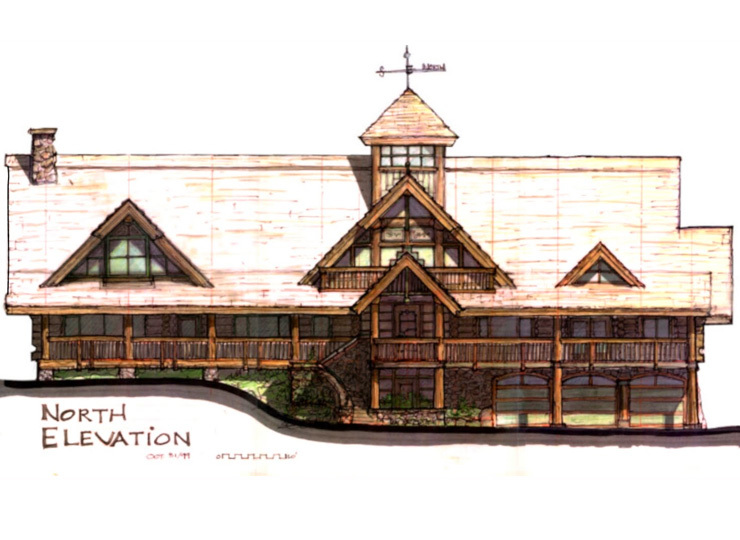 The main living space is grand in scale and very suitable for large gatherings. 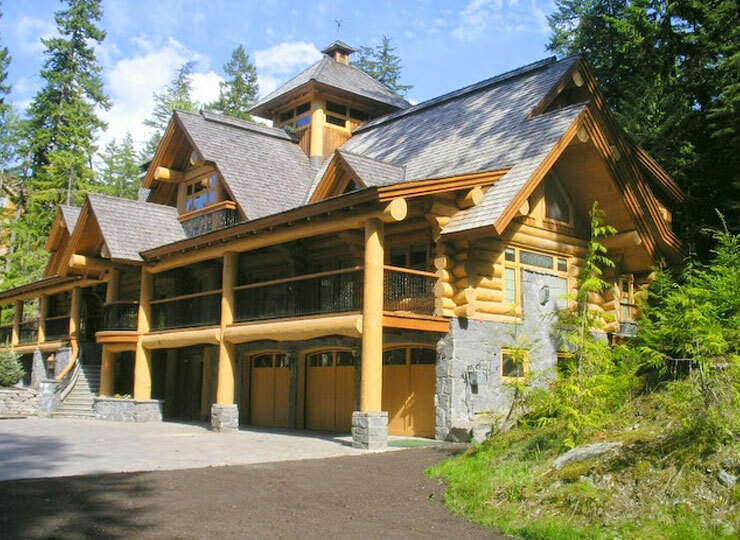 The log work, by Brent McIvor Log Builders, is a very good example of an all log house as opposed to a log and timber house, which was more common in pre-millennium Whistler.